Beneath the earth, a malignant force lies waiting, greedy for freedom from its ancient prison. As the Old Kingdom falls once more into a realm of darkness and terror, the people look desperately to the Abhorsen to save them from the Dead. 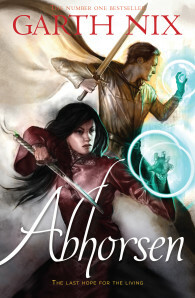 Yet Abhorsen Sabriel is lost, and only Lirael has any chance of stopping the Destroyer. With her companions Sameth, Mogget and the Disreputable Dog, Lirael battles Shadow Hands and dark necromancers in a race against time. But what hope can one young woman have against a terrible evil with the power to destroy life itself? Lirael is a rich and vividly imagined story, breathtaking, terrifying, and utterly absorbing.